The revamped Rs 799 Airtel prepaid recharge offers 3.5GB of 4G/3G data per day along with unlimited local and STD calls for 28 days. It also offers 100 free national SMSes per day. Airtel has revised its Rs 799 prepaid plan and is now offering 3.5GB of daily 4G/3G data per day. Users will also get unlimited local and STD calls for 28 days with free outgoing calls in roaming, however, the unlimited calling is capped to 250 minutes per day and 1000 minutes per week. Previously, the same plan offered 3GB of daily 4G data. Additionally, customers recharging via Airtel Payments Bank will get a cashback of up to Rs 75. The revised Airtel prepaid plan competes directly with Jio’s Rs 799 prepaid recharge. The Jio plan offers 3GB of daily 4G data with unlimited local and STD calls and unlimited access to Jio’s suite of apps like JioTV, Jio Cinema and more at a validity of 28 days. 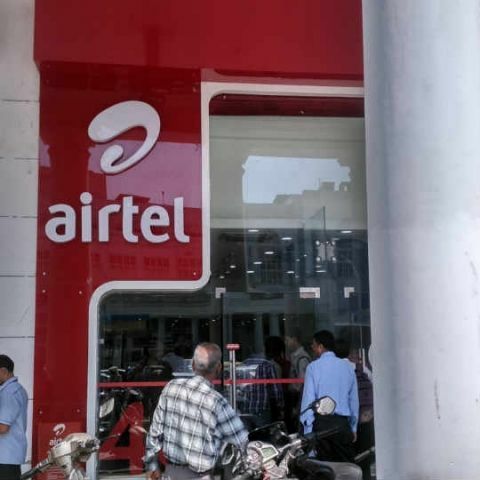 Airtel recently launched a new Rs 93 recharge for its prepaid subscribers. It offers 1GB of 4G/3G data along with unlimited local and STD calls for 10 days. Additionally, it comes with 100 free national SMSes per day and unlimited roaming as well. Airtel’s Rs 93 prepaid pack competes directly with Jio’s Rs 98 plan, which offers 2.1GB of high-speed 4G data, unlimited local and STD calls with free 140 SMS for 14 days. The daily data limit is capped at 0.15GB after which the speed is reduced to 64Kbps. Airtel also recently rolled out the new version of its Airtel TV app. The entire content catalogue on the Airtel TV app is available on a free subscription basis to all Airtel Postpaid and Prepaid customers till June 2018 and the app is available for Android and iOS.